Just like all other medical fields, prevention is truly the best way to approach dentistry. Every patient is different, has a different genetic make-up, a different diet, different daily habits, etc. No matter all of the differences we have, we can all still take the necessary steps to help prevent tooth decay and gum disease. We constantly stress to our patients at Advanced Dental Care, that brushing two times a day, flossing, using mouth rinse, and seeing your dentist on a regular basis significantly decreases your chances of having dental complications. Some things can not be helped, but when a patient develops something like periodontal disease, preventative measures are no longer effective. Patients should understand that periodontal disease is similar to diabetes. Once you’ve been diagnosed, you need professional treatment to help you control and maintain the disease. This means starting to brush twice a day will not make your periodontal disease go away. Dr. Jeremy B. Jorgenson’s philosophy of preventative dentistry takes a conservative approach to treatment options. 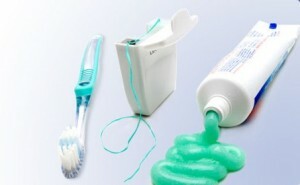 We try to teach our patients how to alter their daily habits such as brushing, flossing, diet, happiness, etc. Dr. Jorgenson always recommends preventative dentistry as the first means of dental care. If a patient, however, does experience tooth decay or periodontal disease, we will provide the least invasive, most comprehensive solutions. Not only does this save patient’s money, it also helps preserve your original structures and gives the patient the opportunity to take back control of their dental health. Preventative dentistry starts with teaching our children the importance of brushing, flossing, not being scared to go to the dentist and very importantly healthy eating habits. Our body systems are all connected so poor oral hygiene can lead to other health issues as well as reduced self-confidence. And vice versa, poor overall health can lead to tooth decay and gum disease. For more information on preventative dentistry, please contact Advanced Dental Care of Costa Mesa, CA.